Alex and I are pleased to announce that MapTap 2.6.0 is now available for download and use. Current MapTap users should get a message the first or second time the run the application telling them a new package is available. If not, just visit the MapTap page and choose between the Update (smaller download) or the full version. What is in the new version? There are two new features in this version. After installing Source mods users will now be asked when they press PLAY if they want to disable the background map. This has been added because a lot of older Source mods crashed due to an issue with background maps. Users can choose between 3 response: Fix this and every mod from now on (not recommended) Fix this mod and ask every time or Don’t fix this mod. MapTap now creates a proper mod from archives that have single or multiple maps. We created a mod before but a user was not able to choose the map once in Steam. Now a user can. MapTap is a Windows application that allows users to install and manage files download from PlanetPhillip.Com and RunThinkShootLive.com. It does not work with other websites, although single BSPs can be dragged and dropped onto the application window allowing the user to install the map to a game of their choice. For a few versions now, Phillip has been using images of Dutch master paintings as the featured image of the posts. From this version forward a codename will be given to each version, which matches a real painting. 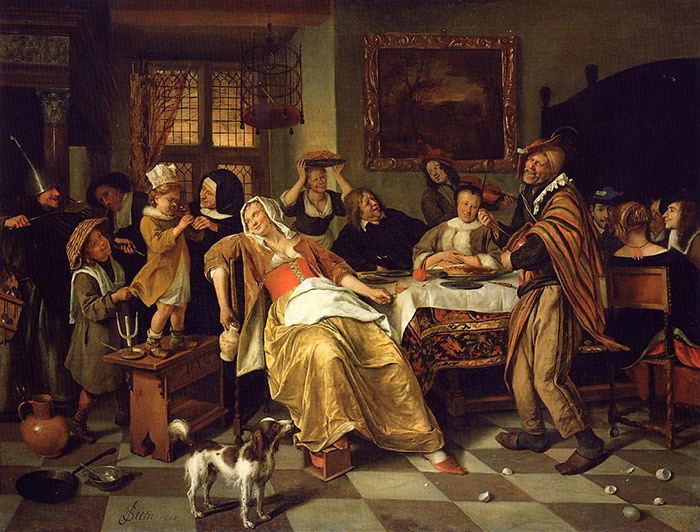 This version’s codename is Twelfth Night, a painting by Jan Steen, completed in 1668.
so how do you know when to use the fix? Unfortunately, the only way currently is to try without it. Eventually, we hope to have a list that MapTap looks at and recommends action for you, but we have so little time. No, it shouldn’t, unless you have that folder within your MapTap installation folder, which you shouldn’t. But even if you did, I don’t believe it would do anything to non-MapTap folders within the installation. Did I ask you before about adding a search feature, Phillip? I have a few dozen games in my list, and they don’t really list alphabetically, being based on different HL versions. Not sure, but I will add it to the roadmap. getting the holy headcrabs for the maptap page, so i can’t find out if it works on linux… yaknow, cause some of the mods say ‘use maptap *sprays foamy spittle* maptap!! !’ and i’d need it to play the mods. Pretty sure it’s Windows-only, sorry. There are no maps or mods on this site that require Gauge/MapTap, it just ,makes it easier to install.